Here's where to watch every episode of The Odyssey season 1. Mouseover or tap an episode to see where to stream it. Click or tap the play icon to stream it on the best available service. 1.1 May 18, 1997 This lavish small-screen adaptation of Homer's ancient epic--replete with exotic Maltese and Turkish locations, state-of-the-art special effects, and many bronzed muscles gleaming with sweat--chronicles the voyage home of a Trojan hero, Odysseus King of Ithaca, and includes many more scenes of his faithful, beautiful wife Penelope dodging leering suitors at home than Homer ever composed! 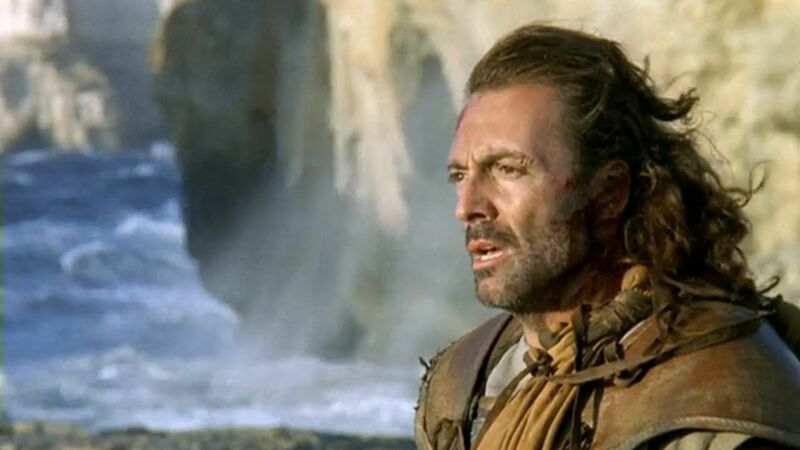 1.2 May 19, 1997 This lavish small-screen adaptation of Homer's ancient epic--replete with exotic Maltese and Turkish locations, state-of-the-art special effects, and many bronzed muscles gleaming with sweat--chronicles the voyage home of a Trojan hero, Odysseus King of Ithaca, and includes many more scenes of his faithful, beautiful wife Penelope dodging leering suitors at home than Homer ever composed!